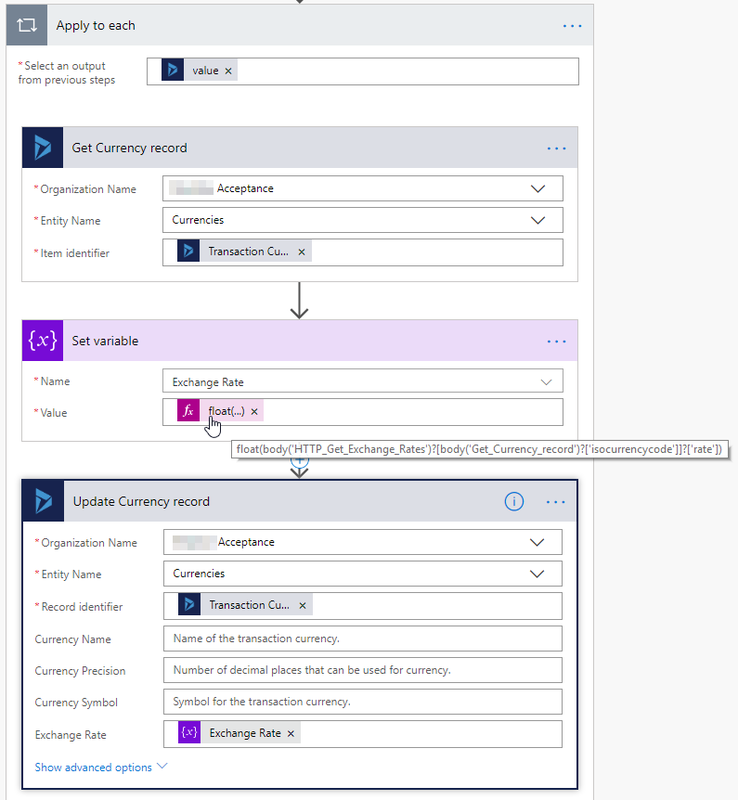 Working with multiple currencies in Dynamics 365 CE, you might have the need to update the currency exchange rates on a regular basis. 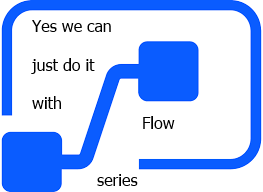 There are custom solutions and even a XrmToolBox plugin to do the job but let’s keep it simple and just do it with Flow. 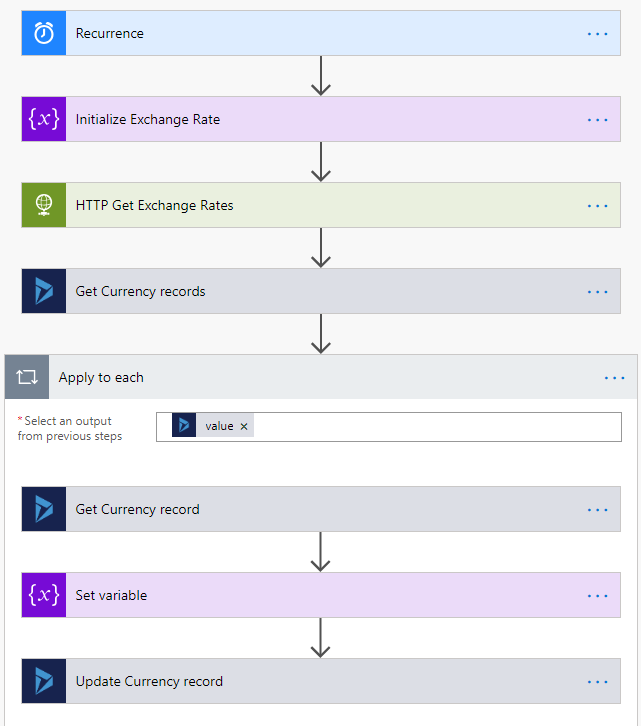 Last I update the currency record with the new exchange rate. 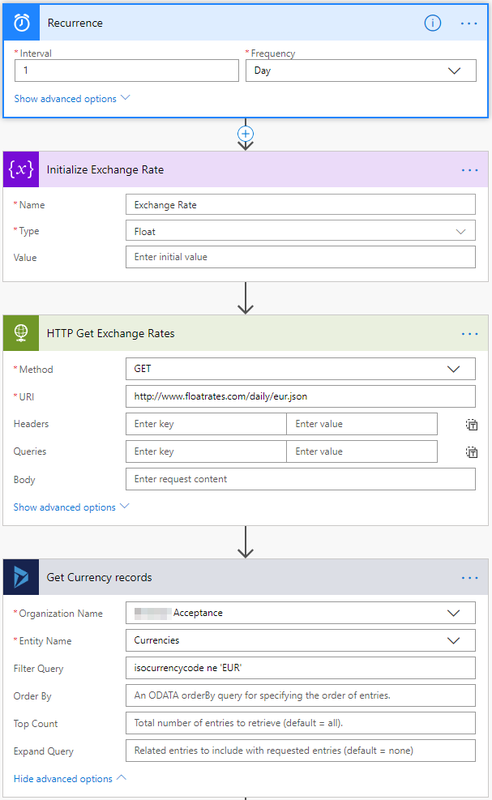 Credits to Pieter Veenstra who’s blog post Microsoft Flow – HTTP – calling webservices, XML vs JSON helped me with just doing the right thing. Cheers, gast!